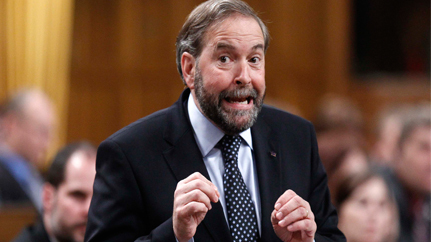 OTTAWA – NDP Leader Thomas Mulcair says last week’s attack on Parliament Hill wasn’t terrorism. Mulcair’s position differs dramatically from that of Prime Minister Stephen Harper, who was quick to call Michael Zehaf-Bibeau’s shooting rampage at the National War Memorial and Parliament’s Centre Block an act of terrorism and vowed Canada would not be intimidated. After fatally shooting Cpl. Nathan Cirillo, 24, as he stood guard at the memorial, Zehaf-Bibeau, 32, stormed Centre Block, where police and security shot him dead while MPs barricaded themselves in meeting rooms. Liberal Leader Justin Trudeau also called the attack terrorism, although he did so more reluctantly than Harper.